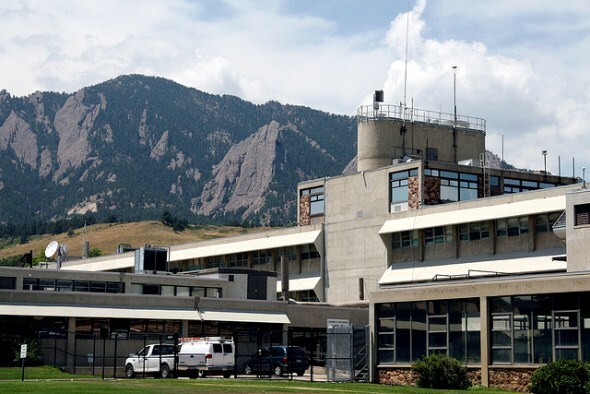 The Institute for Telecommunications Sciences is the research and engineering arm of the National Telecommunications and Information Administration. The institute was born in 1940 as the Interservice Radio Propagation Laboratory, concerned with all things radio. In 1954, it moved to Boulder in a ceremony headlined by President Dwight Eisenhower. As communication technology advanced, NTIA played a key role, advising the White House on how to encourage telecommunications advancements and regulate the industry. Among the agencies’ goals: ensuring that all Americans have affordable phone and cable TV, advocating competition among providers and opening telecommunications around the world. A $7.2 billion grant from the federal government has the agency working on the infrastructure for broadband distribution, developing public computer centers and building a map of broadband availability across the country.